The Emilia 450 Basin is a stunning bathroom basin which is ideal for contemporary and modern bathroom designs. It has an elegant shape and a trend-setting design which will allow you to make a great style statement. 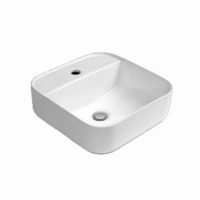 The Emilia 450 basin is designed to offer easy installation, and it is a small to mid-sized basin and measures 455x300mm in dimensions. 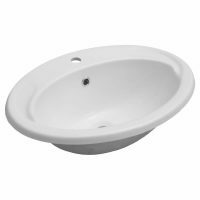 It features a bowl capacity of 3.5 litres and includes a single tap hole. For an added cost, it can be modified to include three holes. Give your bathroom the perfect mix of good looks and practicality with the Emilia 450 Basin. It features a useful soap platform area which offers added functionality. Experience the highest level of quality with the Emilia 450 Basin. Due to superior manufacturing and top-notch artistry, it offers long-lasting operation. 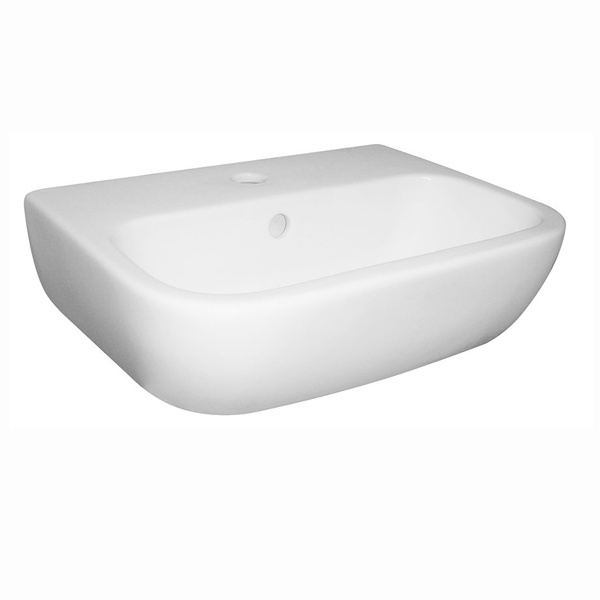 For a stylish contemporary bathroom basin in Perth, choose the Emilia 450 Basin at Ross’s Discount Home Centre. 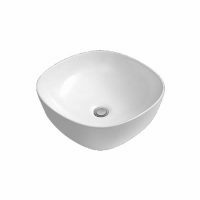 Buy this elegant bathroom basin at the lowest possible price from our online store today to take advantage of our 14-day money back guarantee!